As Polly highlighted in the previous Step, the King and Queen’s simple tastes were widely known, and quickly became a target for satire and mockery during their reign. 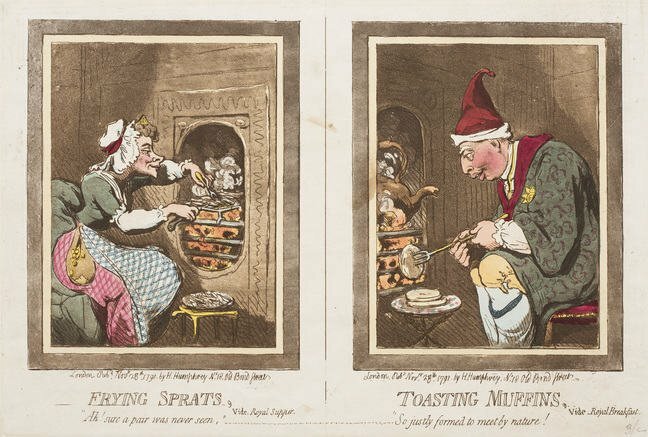 Several satirists, including James Gillray, are remembered for their lively political cartoons directed against George III and his family. These political caricatures form a historical record of the later part of George’s reign and frequently show the royal family as miserly and money-hungry. 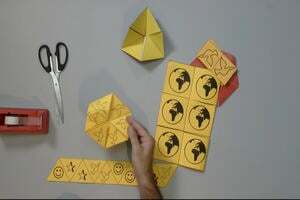 These cartoons were widely circulated throughout Britain and Europe. Below are a few of our favourites. Sprats and muffins were seen as poor people’s food. As Queen Charlotte’s full coin purse suggests, they are stingy with their money, neither spending their money on themselves nor on their subjects. The immediate political background to this also is that the King and Queen were holding back money from their son Prince George (later George IV) to pay off his debts, which would mean the burden would fall to the British public. In this image, ‘Temperance enjoying a Frugal Meal’ the King’s meal consists of two boiled eggs, while the Queen is enjoying simple salad greens. Salad was considered a poor man’s food at this time. Look closely at the room: it is filled with symbols of miserliness, including balancing scales, an empty picture frame, a large pitcher of water sits next to the table, rather than the wine that would usually be enjoyed with dinner in wealthy homes. The chairs are covered in protective dust cloths, as is the end of the bell pull. The seat of the King’s breeches are patched and mended. Ironically, the figurative candelabrum on the mantelpiece is engraved with Munificence, the act of giving generously. As a further gesture, only one candle is burning, to save money on expensive wax candles. 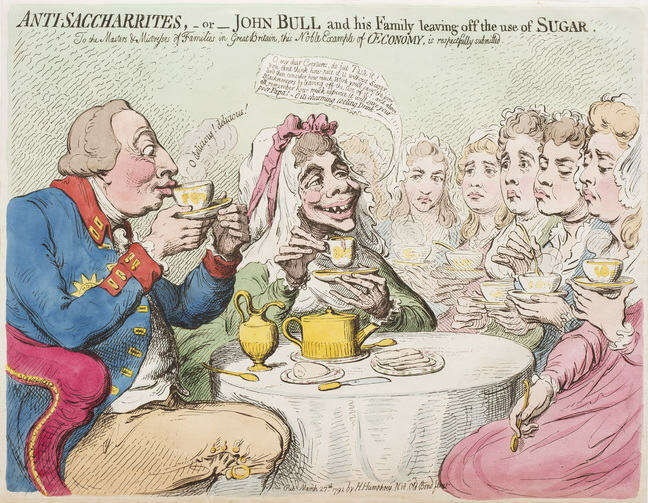 In this print, ‘Anti-Saccharrites, - or - John Bull and his Family leaving off the use of Sugar’ Gillray imagines King George III, Queen Charlotte and their daughters taking tea together. As George eagerly sips at his cup, the Queen extolls the benefits of avoiding sugar, whilst her daughters look on in dismay. Their strict parenting was well known, and in this cartoon the princesses are forced to drink unsweetened tea by their parents. Queen Charlotte states that abstaining from sugar will ‘save the poor Blackamoors’. In reality, however, George was in full favour of the slave trade as it produced enormous wealth for the Empire. The Anti-Saccahrites were an anti-slavery group who boycotted sugar. 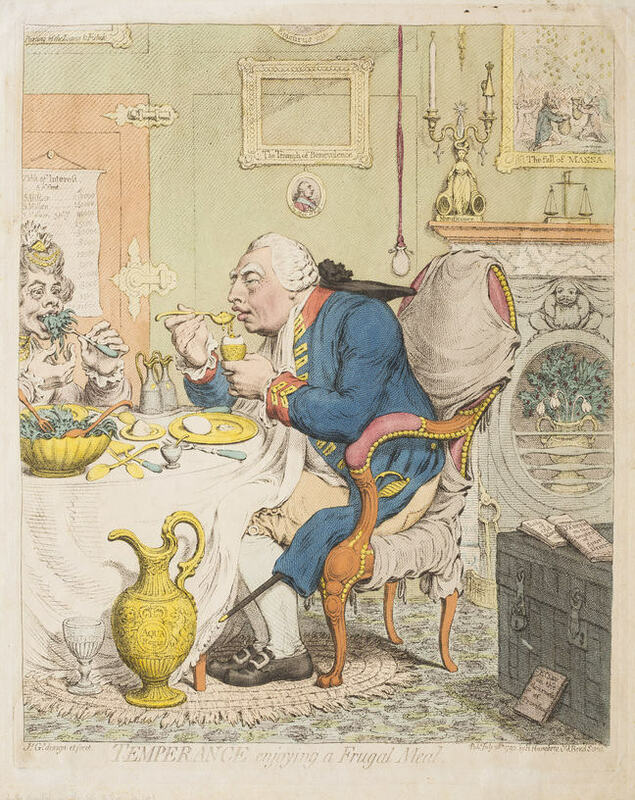 Although this is a satire about King George III and Charlotte’s dislike of sugar, it had more to do with their general frugality, and miserliness towards their children. However, some prints from this time show the public’s affection towards George III, especially when faced with his son, the Prince of Wales, as regent in his place. 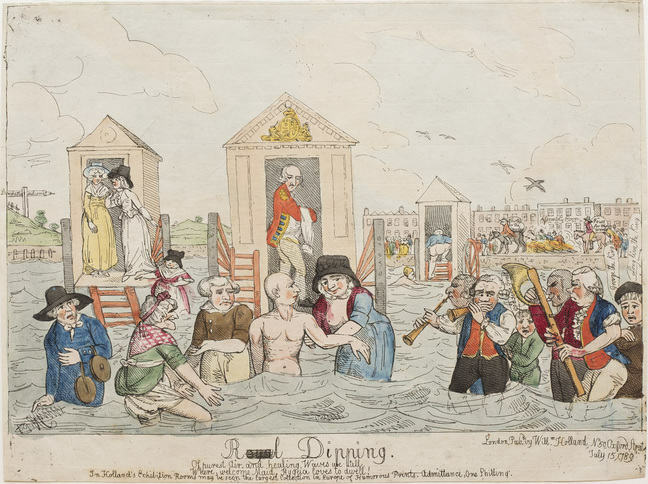 In this print, ‘Royal Dipping’ King George III takes to the waters at Weymouth, serenaded by a band. His head is shaved, indicating his recent mental illness. 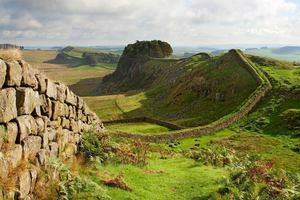 George took his family on an extended holiday to the seaside in July 1789 to recuperate after his first bout of ill health.